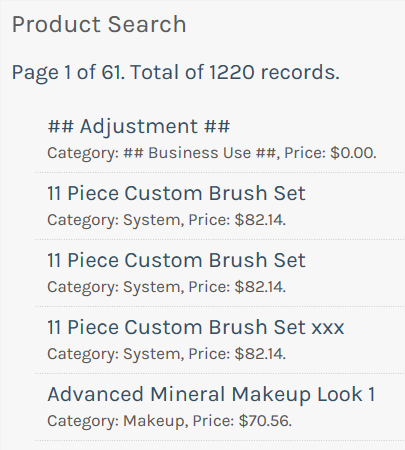 In the Products Search screen, click on the Product you wish to add a Barcode to. his will show the Product Details screen. In the Product Details section click on the Barcode field. Scan the product with the Barcode Scanner and the barcode will appear in the the Barcode field. If the Barcode is already being used by another Product in your system then the system will warn you that the barcode has already been used for another product. Otherwise, Product Search screen will appear stating that the product has been saved.